Yeah, I’m talking to you. Are you clean? Spotless? Without wrinkle? Have you kept yourself away from every form of defilement? Are you still 100% committed to your spouse? So many questions, right? We are in a world where defilement enters the same bus or plane as you everyday. It works in your office. Walks into the church. It’s all over gigantic billboards. Almost the only thing shown off on tv. It has successfully injected itself into the system of many. People are beginning to perceive it’s colour to be white instead of black. It’s a hard one right? I mean staying pure. 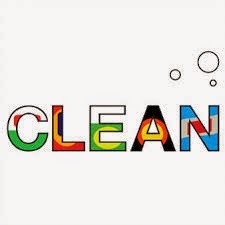 Ask yourself, “Am I clean?” If the answer is “yes”, then you need to guard against outside immoral influences. And if the answer is “no”, then you need to repent and do some housecleaning. Don’t be like the young man who fell into immorality by going after the harlot “as an ox goes to the slaughter” (Prov. 7:22). Instead, make sure that you are clean, both personally and in your home. That means being careful what you think about and look at, making sure to keep the right company. I challenge you today, stay clean. Stop dipping your hand in sin. Stop trading your birthright for a bowl of forbidden pottage. Stay true to your marital vows. Stop that adulterous relationship you are engaging in in your mind. Maybe you’ve even taken a step backward by physically involving yourself in immorality. That path is the path of death. It’s time to make a U-turn. Return home. Choose life. Sexual purity is still possible with the help of the Holy Spirit. Desire a regenerated heart from God, ask for it and He’ll give you. Yes, even in the midst of the present gross decadence. The Holy Spirit can help you block your mind from all the evil walking around. Make up your mind in Jesus. Trust Him for help. Make sure immorality cannot even be smelled in your home. It must never be heard of. Our God is holy. Stop ‘de-holying’ yourself!